Incivility is silently chipping away at people, organizations, and our economy. Slights, insensitivities, and rude behaviors can cut deeply. Moreover, incivility hijacks focus. Even if people want to perform well, they can't. Customers too are less likely to buy from a company with an employee who is perceived as rude. Ultimately, incivility cuts the bottom line. 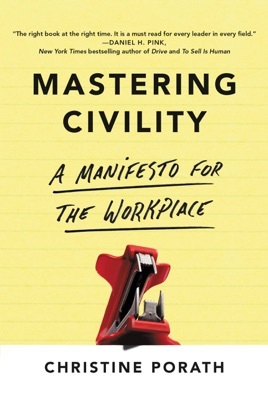 Porath, a Georgetown University management professor, insightfully explores workplace interactions in this useful, practical guide to countering incivility in its many forms. Seeking to foster more positive company cultures, she stresses that how people treat each other at work matters, telling corporate leaders that bad behavior can even affect the bottom line. 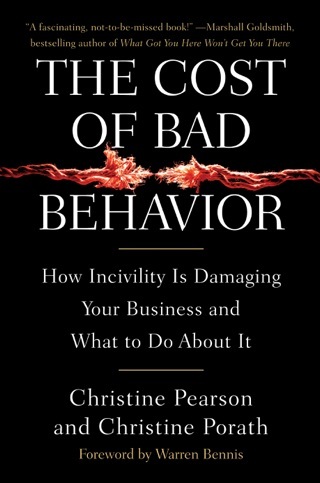 She divides the book into four sections, variously concerning the "high costs of incivility," initiating "civility checkups," instilling civility into corporate culture, and deflecting personally directed incivility. She explores rudeness's deleterious effects on health and productivity and the rewards civility can bring for both company and employee. She also details the phenomenon one physician dubs "brain burn" the long-lasting effects of experiencing or observing unpleasant behavior. Of particular relevance is a chapter on self-assessment, which includes an easy-to-complete checklist for addressing one's weak points. It also details seven strategies for coping with incivility, including soliciting feedback, hiring a coach, training oneself to read emotions better, and making self-care a priority. This book will arm readers with the tools they need to move from defeat to empowerment and prompt change in the workplace.